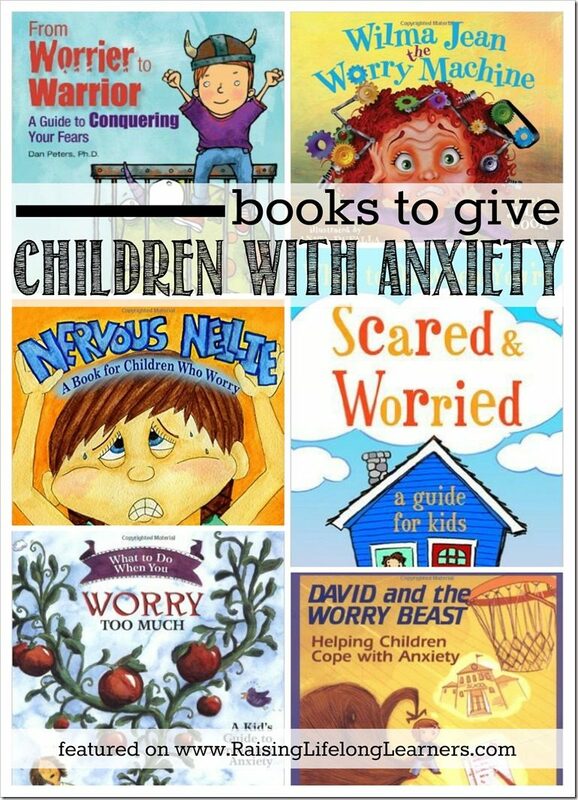 All children combat anxiety from time to time. Watching a scary movie, overhearing a frightening news segment, or hearing a ghost story from a friend. The shadows in our basement used to freak me out when I was a kid and I could feel the fear rise up in my throat when I had to go down into the laundry room alone. This kind of childhood anxiety is normal. But, if you’re a parent of children with anxiety – true anxiety that affects every aspect of their life – you know that it’s a struggle. I had one of my kiddos come out the other night as I stayed up late working. She just needed to make sure I was still home. She’d woken from a dream, and remembered that she’d missed me the last time I went away for the weekend, and she was scared. Because I have cognitively gifted, asynchronous, and creative children, two of whom struggle with twice-exceptionalities and overexcitabilites – anxiety being one of those 2e challenges, I try to think carefully about the gifts I give all year long. I tend to put practical, but still fun, gifts in my kids’ stockings at Christmas, and add in some functional gifts at birthdays too. 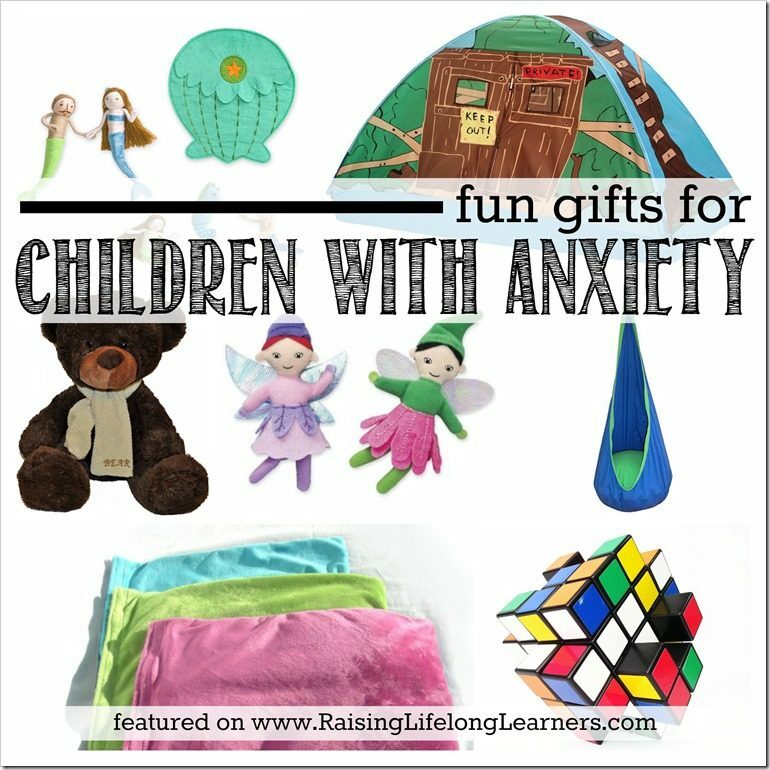 These fun things will help soothe your kiddo’s anxiety, and be cool to use, too. 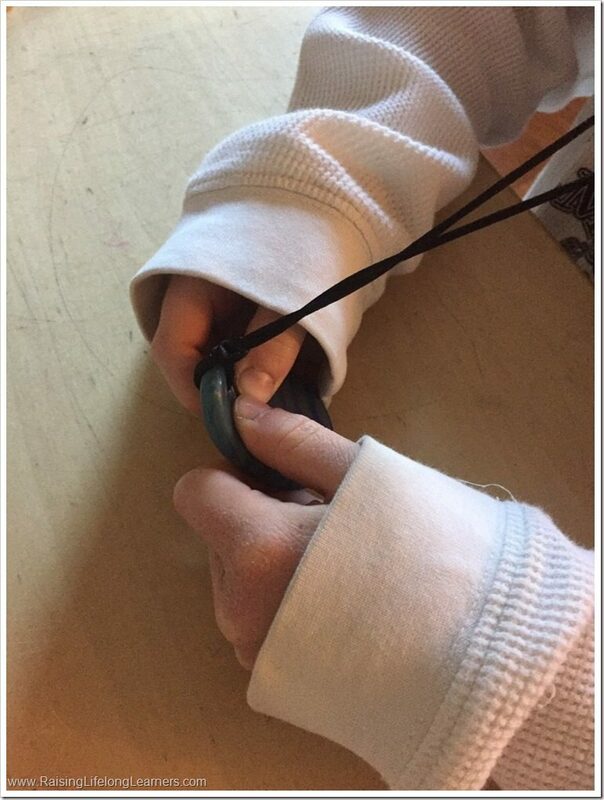 I received Tangle Toys to try out with my kids and share with you. I was compensated for my time, but all opinions are mine. 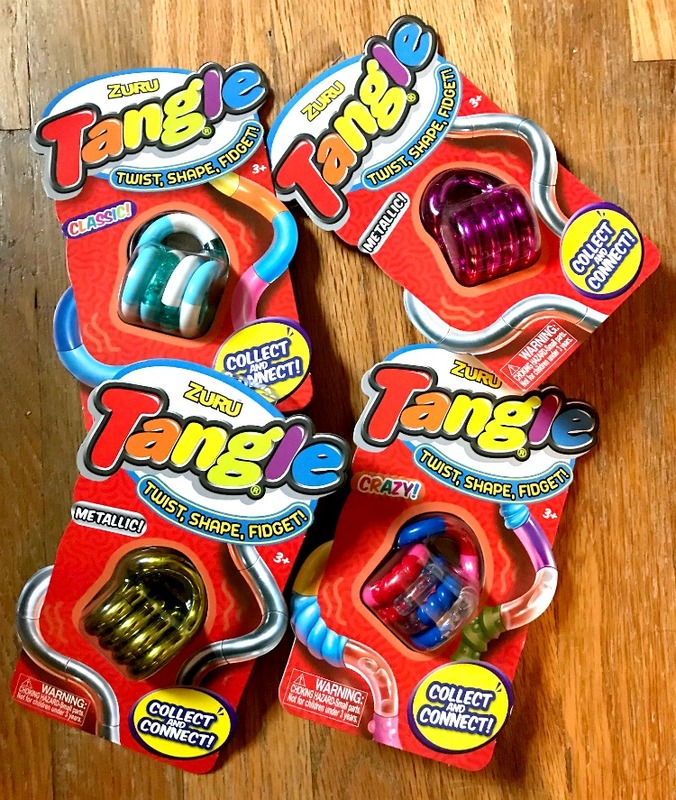 In fact, we’ve owned several Tangle toys throughout the years and were eager to have a few more. Litecup – My daughter’s anxiety hits the roof around bedtime. We have a nightlight in the room, and usually my husband sits in there on the recliner catching up on email and reading until she falls asleep. But, if she wakes in the middle of the night…forget it. She gets herself all worked up because everyone’s asleep and she wanders in the dark fearing that she’s been left alone. The Litecup has saved many nocturnal meltdowns. She has water – which is occasionally all she needs to fall back asleep – and she has a nightlight that she can take with her into my room down the dark hallway. She absolutely loves it, and we plan to buy one for each of the kids. Chewigem – I’d actually planned to stuff a few of these into each of my children’s stockings this year to have them on hand as both fidgets and something other than their clothes or fingers to chew on. We have a Raindrop Pendant, and my kids love them. Right now, I have my 6 year old using it, and plan to get a Dog Tag Pendant for our son, a Miller Heart Pendant for our daughter, and a Skull Pendant for the teething toddler who loves pirates. Sound Machine – We have had numerous sound machines and white noise makers in our bedrooms, and the kids’ rooms, forever. And we’ve gone through a few different brands – until we bought a Marpac DOHM-DS for each bedroom. They’ve lasted through two moves, and lots of drops. Having the same sound whooshing in the background of my children’s rooms really helps soothe them at night. Night Light – I mentioned that we keep nightlights in our kids’ rooms. We actually give them a few options. One of those is a cuddly light up stuffed animal. There are so many fun options, that it’s hard not to find one your kids will each like. Essential Oil Diffuser – We keep an essential oil diffuser in the kids’ rooms, and bought this one for them last year because it was affordable, got good reviews, and the nightlight can be kept on all night – even after the oils are done diffusing. Our favorites to diffuse at night are lavender, cedarwood, and sometimes Roman chamomile. Weighted Blanket or Weighted Toy – My daughter loves the secure feeling she gets when she’s covered in something that has weight. Often, sensory issues go hand in hand with anxiety, and meeting those needs can calm the anxious feelings. Consider gifting a special little person with a weighted friend, sleeping blanket, or lap pad for on-the-go. Bed Tent – We bought our two anxious kids each a super-inexpensive bed tent last year, and it was a huge hit with each of them. They have a comforting spot to go at night and hideaway when they’re feeling overwhelmed. They each have a clip-on book light inside so they can read and relax when they need to. Hammock Swing – This is a cozy hideaway, swing, and reading nook all in one. I don’t have this one, but it’s been on our wishlist for awhile. Pocket Friends – Both of my children with anxiety carry small toys with them everywhere they go. One of them has an Obi-Wan Kenobi action figure that stays in his pocket and comes out for adventures wherever we are. Though now he’s moving to keeping a speedcube in his pocket as it’s a great conversation sparker when he starts flying through solutions. He also loves his new shape-shifting X-Cube for the incredulous looks he gets wherever we go. My daughter loves small animals and this dimple doll. She brings them everywhere with her. Zuru Tangle — These are the ultimate calming puzzles. They’re quiet, come in a variety of styles (classic, metallic, crazy, or sparkle), and can be connected to one another for endless fidgeting fun. The colors, texture, and shapes help relieve stress and anxiety as well as help those who need to move their bodies focus. I have a few that I’ve owned for awhile in my purse for those moments we find ourselves waiting unexpectedly, but I’m putting the new ones we received — and that you can find at Toys “R” Us or Walmart for under $5 — in each of the kids’ stocking this year. Books are a part of every gift-giving situation for us. Birthdays, holidays, whatever… we love sharing good books with friends and family alike. 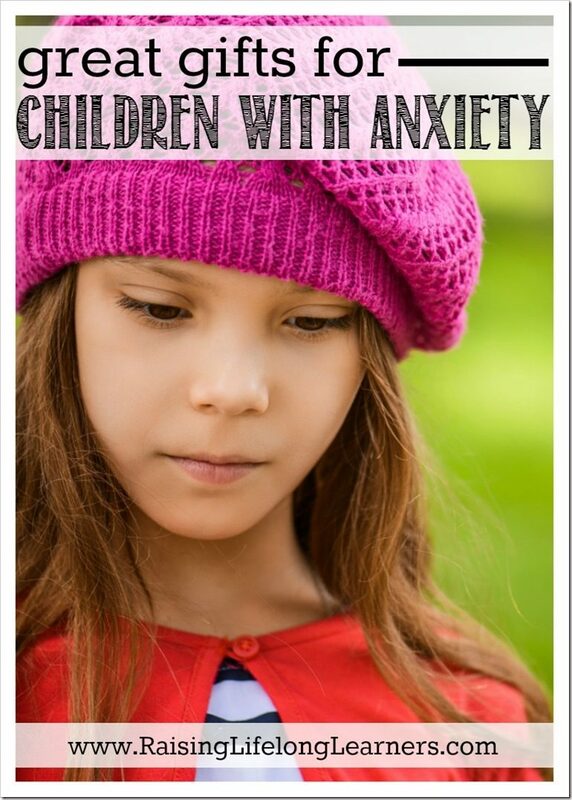 What to do When You Worry Too Much – This is an interactive self-help book designed to guide 6-12 year olds and their parents through the cognitive-behavioral techniques most often used in the treatment of generalized anxiety. Engaging, encouraging, and easy to follow, this book educates, motivates, and empowers children to work towards change. It includes a note to parents by psychologist and author Dawn Huebner, PhD. Wilma Jean the Worry Machine – This fun and humorous book addresses the problem of anxiety in a way that relates to children of all ages. It offers creative strategies for parents and teachers to use that can lessen the severity of anxiety. The goal of the book is to give children the tools needed to feel more in control of their anxiety. For those worries that are not in anyone’s control (i.e. the weather,) a worry hat is introduced. A fun read for Wilmas of all ages! What to do When You’re Scared and Worried – From a dread of spiders to panic attacks, kids have worries and fears, just like adults. This is a book kids can turn to when they need advice, reassurance, and ideas. They’ll find out where fears and worries come from, practice Fear Chasers and Worry Erasers, and learn to seek help for hard-to-handle fears they can’t manage on their own. The Outsmart Your Worry Tool Kit for Kids – Worry and anxiety are big problems facing children today. Kids worry about doing well in school, making friends, peer pressure, family conflicts, performance in sports, or moving. They worry about real dangers like kidnapping, illness, and terrorism, as well as imagined dangers such as monsters or the dark. The Outsmart Your Worry Tool Kit for Kids (more of a game than a book) is an innovative skill- building approach to help children take charge of worry. The Tool Kit teaches children to become stronger and smarter than their worry, think in strong and accurate ways, stop the What-Ifs, and relax their minds and bodies. David and the Worry Beast – David could not stop thinking about the basket he had missed at the end of the big game. He was worried that he might do it again. He was worried that his team mates would be angry with him. He was worried that his parents would not be proud of him. He was also worried about an upcoming math test. In fact, David was worried a lot. “Should I quit the team?” he asked himself. “Should I be sick tomorrow and miss the math test?” Luckily, David finally confided in his parents and school nurse, both of whom gave him support and techniques for controlling the “worry beast” within him. Worry! Worry! Go Away! – Children should not have to worry, but these Elfin characters will help your child overcome any worry that he or she is experiencing. Nervous Nellie — What if? What if? What if? Nellie worries about everything- getting on a train, a plane, making friends in school, and more. With the help of Dr. Nofear, Nellie embarks on a journey to overcome her anxiety. From Worrier to Warrior – There are two versions of this book: one for kids to read and one for their concerned adults. Both are fantastic, and so worth your time and money. Dr. Dan Peters gets worried kids, and knows how to help them be strong. 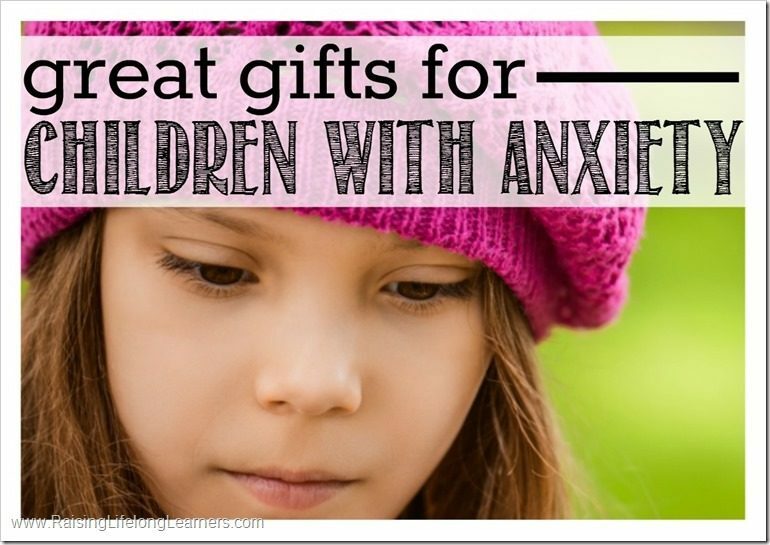 There are so many great resources out there to help our anxious kiddos, but we need to be mindful of their needs and give gifts that serve more than one purpose. 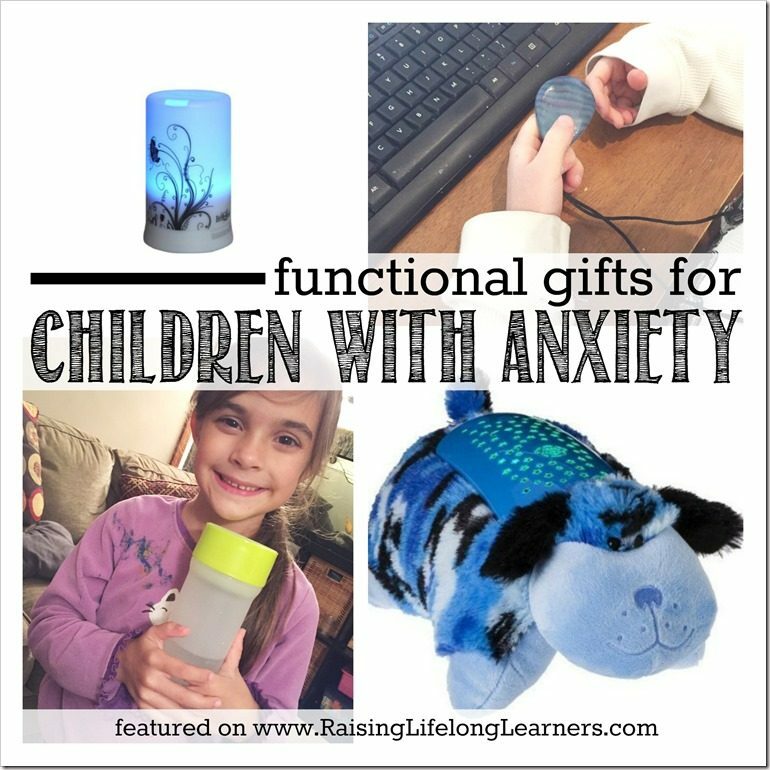 Do you have other great gift ideas for the little worriers in your life? I’d love to hear them.